Some of you may have been struck by this title, which, instead of “venous ulcers“, includes the term “leg wounds”. 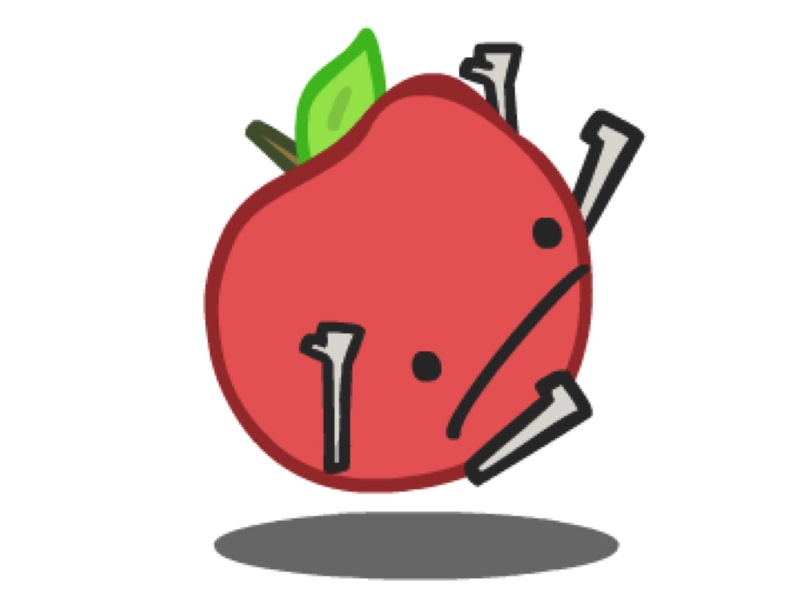 Leg wound is a general and nonspecific concept, so it fits perfectly into the header of this post. 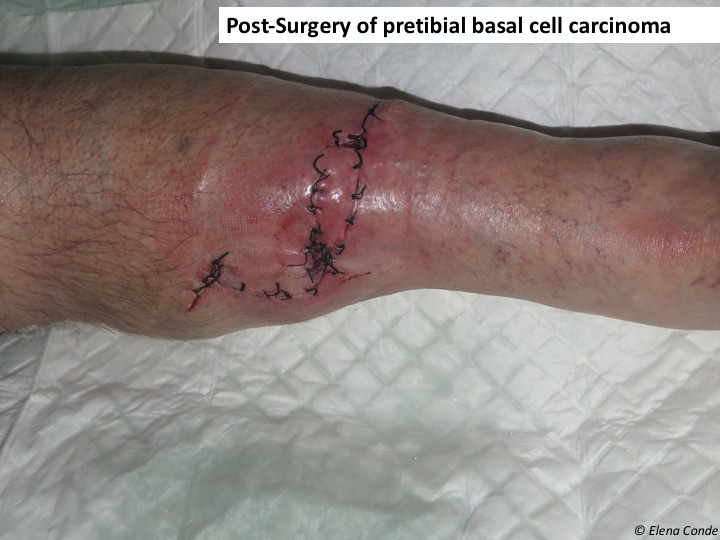 Regardless of its cause, when no contraindication exists, a leg wound will benefit from compressive therapy. I hope that reading this post will gain you confidence in compression therapy and become your main ally in the treatment of leg ulcers. Why do leg wounds benefit from compression therapy? 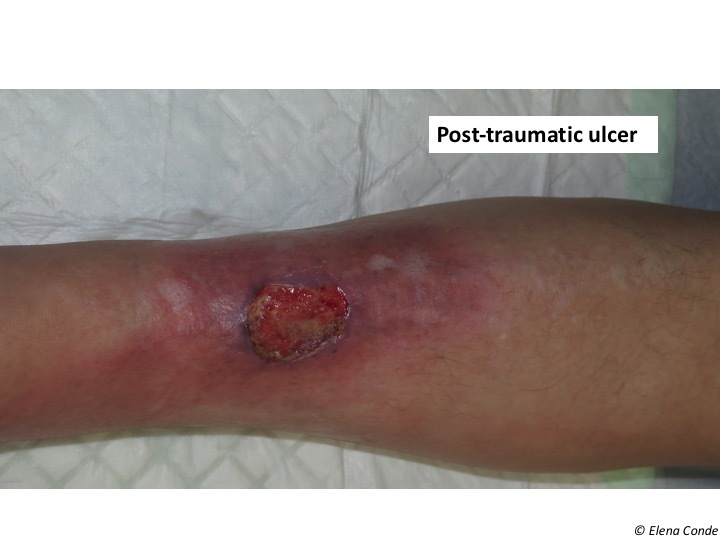 The inflammatory process inherent in any leg wound involves an alteration in the microcirculation, with greater capillary filtration, and, due to the effect of the force of gravity, an increase in intravenous pressure. Therefore, despite the absence of reflux or an obstructive picture, a state of venous hypertension may develop, making healing difficult. 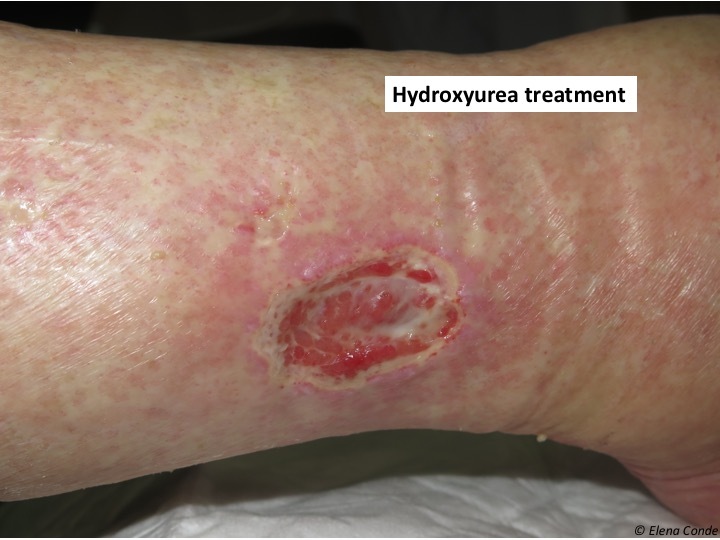 The term “hydrostatic ulcers” has been proposed to refer to leg wounds of different aetiologies that meet this condition. That is, they do not meet the definition of venous ulcer but behave as if they were (and many seem to be clinically). 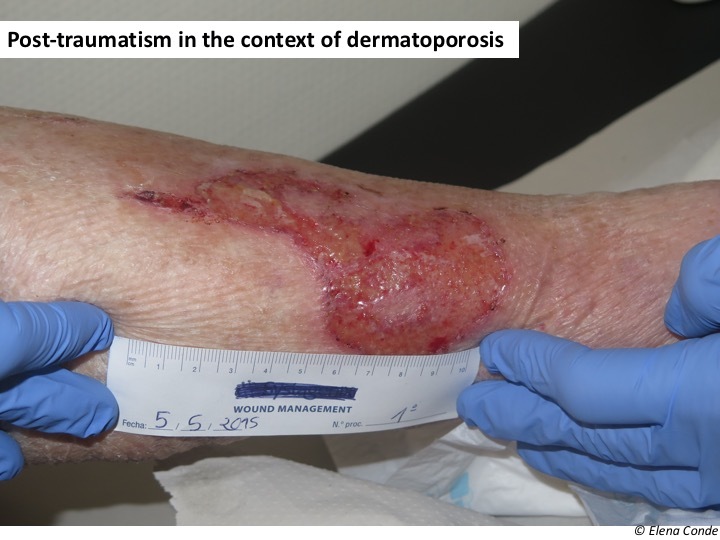 This group includes wounds in patients with obesity, immobilization, traumatic wounds, secondary to vasculitis or occlusive vasculopathy… It is not uncommon for a patient to present several of these predisposing conditions together. 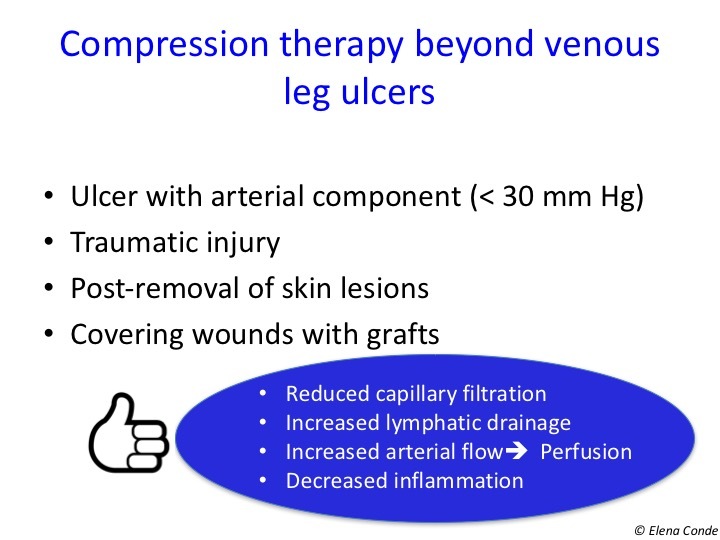 However, the complexity that we find in our clinical practice should not modify the essence of our therapeutic attitude: in order to fight against venous hypertension, present to a greater or lesser extent in any leg wound, the promotion of venous return through compressive therapy is fundamental. What about arterial component wounds? 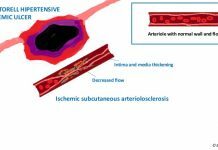 As we have just pointed out, our patients usually present with comorbidities and the wounds usually have several associated components, such as arteriopathy. However, we must not forget that the ABI is an indicator of arteriopathy, not ischemia (real contraindication for compression). In addition, this rate may be falsely elevated by calcification of the arterial media. Therefore, as I have already commented in other entries, in cases of doubt (arterial calcification, diabetic patient), arterial risk must be defined by a combination of clinical examination (characteristics of pain and trophic alterations) and absolute measures of chronic ischemia (systolic pressure in the first toe and in the ankle). 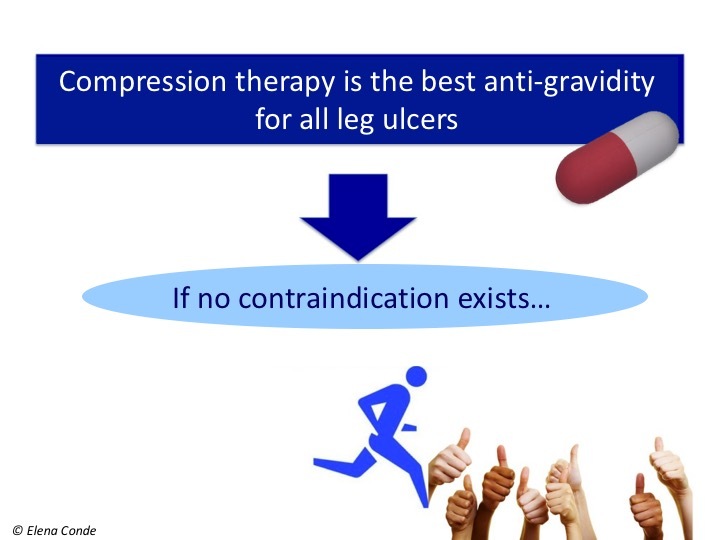 With regard to the other absolute and relative contraindications of compression therapy, the recommendations vary depending on the clinical guideline. This lack of consensus and absence of specificity is summarized in a poster that was presented at the 5th WUWHS congress held in September in Florence and can be downloaded in http://www.icc-compressionclub.com/. 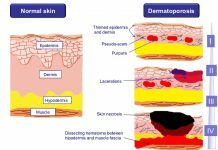 In practice, regarding diabetic patients with arteriopathy, neuropathy, heart failure, skin fragility and many other added risk factors, I believe that the key to success is a close follow-up, examining the limb in detail at each dressing change and, most importantly, listening to the patient. 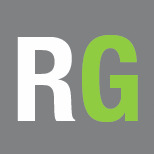 Compression therapy is the anti-gravity treatment of leg wounds. 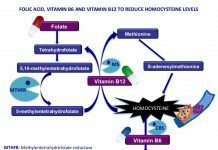 Provided that there are no contraindications for its use, a leg ulcer will benefit from the antihypertensive and anti-inflammatory effect of compressive therapy. I recommend this monographic issue of compression therapy published in 2010 in the Journal of Wound Technology, which you can also access from the very interesting website of the International Compression Club. Had you ever heard about it?